While Madrid, Spain might not be in South America, we thought we’d still share some awesome things to see on our website there as the majority of South America was founded by the Spanish and they share a lot in common, including language, some cuisine and much more. As beautiful as it is bustling, the capital city of Spain is a sightseeing heaven. With so much on offer, it can be difficult to choose how to spend your time so let us help you with a few must-see highlights. Always remember when in Madrid to take care of yourself and your belongings. Like with any big city, incidents can occur so make sure you’re covered by a decent insurance policy. Costs and terms vary considerably so but it is always possible to find cheap travel insurance for European destinations policies before you travel. The Palacio Real – Madrid’s Royal Palace is not only the city’s largest building but also the largest royal palace in Western Europe. And it’s arguably one of the most beautiful too! The stunning architecture is impressive enough from the outside but further beauty lies within. For a small fee you can enter the palace and feast your eyes on the endless rooms filled with elaborate furniture and intricate art. Gardens and Parks – Madrid is famous for its Royal Botanical Garden which is both exquisite and educational. It’s home to over 30,000 different species of plants, all labelled clearly so that visitors can learn whilst they meander through. Whilst entry to the Real Jardín Botanico will set you back by a couple of euros, Madrid’s main park, El Parque de Retiro, is equally as wonderful and completely free. What the park lacks in plant variety, it makes up for in beautiful sculptures and monuments. In the middle of the park, there’s a large lake and quaint little rowing boats available to hire. 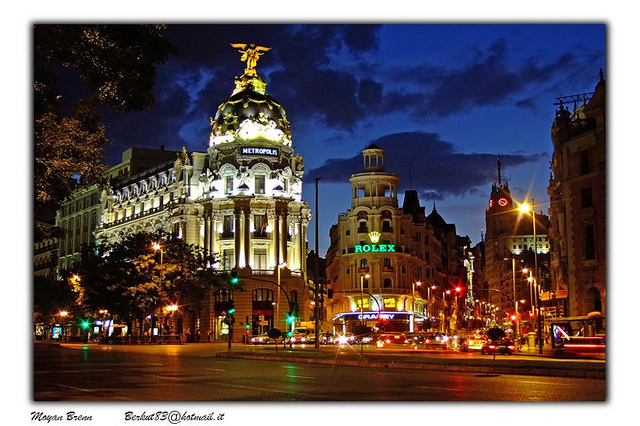 Art Museums – In Madrid you’ll find you’re spoilt for choice in terms of museums. Art enthusiasts will love the Prado Museum which is widely acknowledged as one of the world’s greatest galleries. The Museo Nacional Centro de Arte Reina Sofia is another which is notable for the fact that the very building is an artwork in itself. Though it was once Madrid’s 18th century hospital, it was remodeled in 1992 and transformed into a museum. Restaurants and Eateries – There are hundreds of restaurants in Madrid which serve good, authentic European food and there’s more popping up all the time. However, the most interesting is restaurant Botin which is also the most ancient. In fact, this great little establishment is thought to be the oldest restaurant in the world, dating back to 1725! Despite becoming a tourist hotspot, dishes remain at reasonable prices with an average 3-course meal costing around €40. Alternatively, go even cheaper and head to the Mercado de San Miguel where you’ll find traditional Spanish food from just €1. The best part about it is that you can try before you buy, with many stalls offering free tasters. If you’re intending on cramming in a lot of sightseeing it might be worth considering a Madrid Card which can be bought from as little as €45 and gains you free or discounted entry to top attractions all around the city.